Are you one of those people who used to read your favorite blog articles and news on Internet right from your Android phone while having a cup of tea in the morning time? If yes, then you might have come across the situation where to need to search for text in a web page. For example, if you find an awesome quote or any other useful information that you want to copy but forget where it was, then how you can find it again? Obviously, it would be a tedious task to find out the exact thing you're looking for by searching it manually. And if the article length is too long (say more than 5000 characters), it was nearly impossible. You've to read the complete article again, which is too boring. 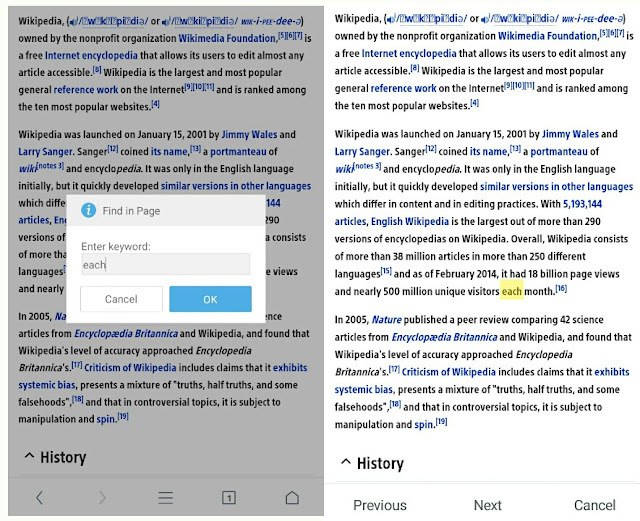 As in case of computer browsers, there is a keyboard shortcut key as "CTRL+F", which let you search anything within a web page but in case of Android phone, there is no such keyboard shortcut. Then what to do? Here's are 2 simple ways. First of all, open Chrome app in your Android phone. Now go to the website or web page from where you to want search the text. Once it is completely loaded, click the menu button (three dots at the top-right corner of the browser screen). From the menu list, tap "Find in page" option. Now type in the text or phrase you want to find in the search box and then click search icon from the keyboard. The matched text or phrase will be marked with yellow background. To know how many times the same word is repeated, simply look at the numbers next to the search box as shown in above picture. To easily jump to the another match, use up and down arrows or click the yellow line from the right-side area. You can also find your current position. Now copy the text and save it in notes or anywhere you want. Open the UC browser app in your Android phone. Again go the website or web page where you want to find the text. Now click the menu button (three parallel lines at the bottom of the screen) and tap "Add-ons" option. Here click on "Find in Page" add-on. Note: If it's not there, click the plus (+) button to install it. 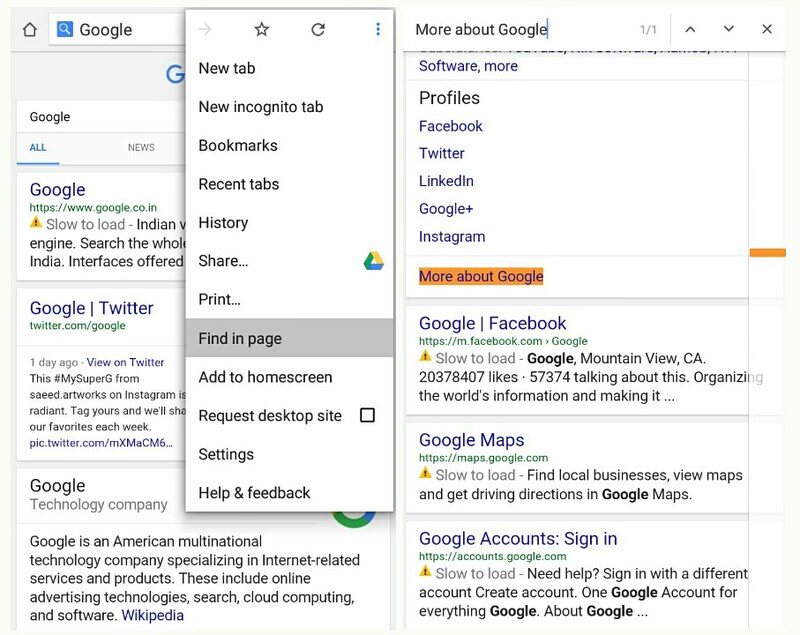 This extension will automatically search the whole web page to find out the correct matches. You can press "Previous" or "Next" button to easily jump to the another match or you can close the operation by clicking "Cancel" button. Unfortunately, this add-on will not count the total number of matches. So you've to add them manually. 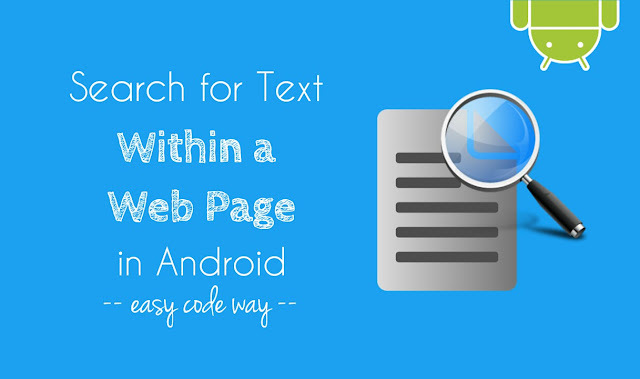 This is how you can easily search for text within a web page in your Android phone. If you've any doubts, feel free to ask me in the comments. Stay tuned for more interesting tutorials.